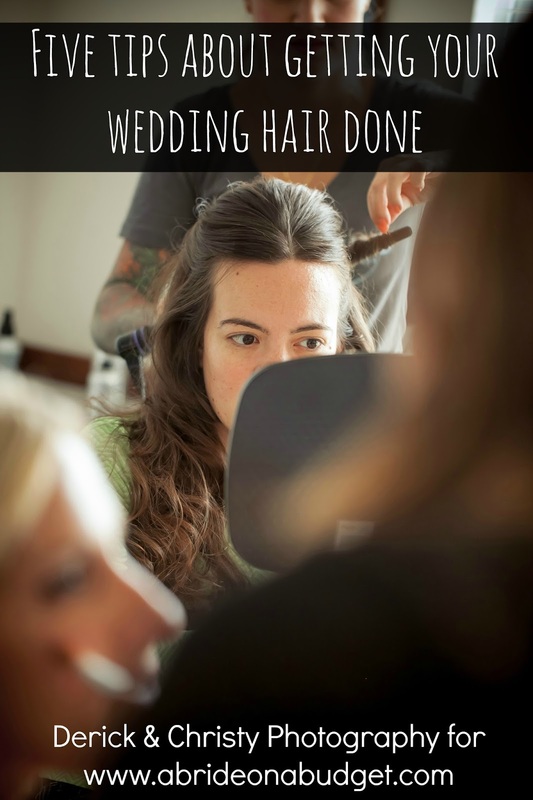 A Bride On A Budget received these products for this review. All thoughts belong to ABOAB. I never understood wine and cheese events. Don't get me wrong, I love cheese (so much that my cholesterol took a beating for a while). And cheese pairs well with a bunch of other food items. Cheese and apples? Yes. Cheese and marinara sauce? Of course. Cheese on my tuna salad sandwich? Okay ... I'll be honest: I've thought about it. But wine and cheese? I don't get it. Maybe a nice red with a lasagna, but just bottles of wine and blocks of cheddar? It never made sense to me. Now wine and chocolate ... that's a perfect pairing. Agree? 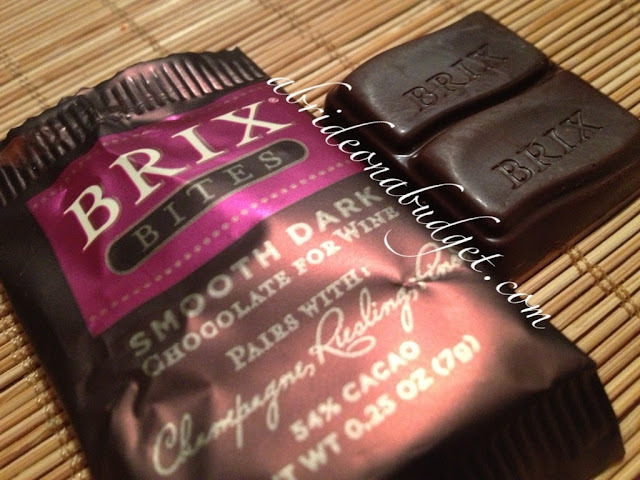 Then you need to check out Brix Chocolate. 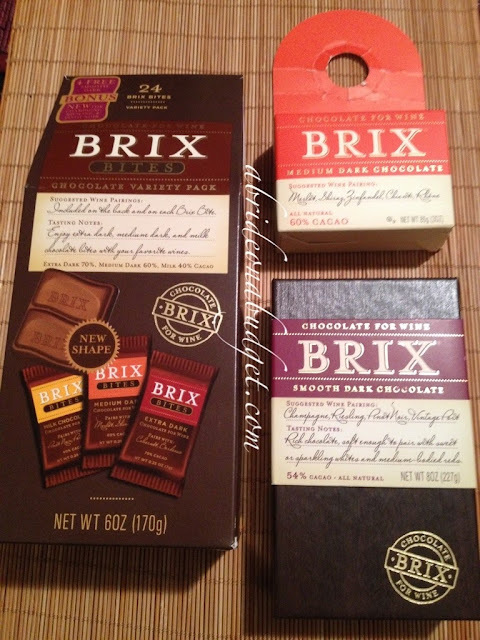 We were sent three variants of Brix Chocolates for Wine. 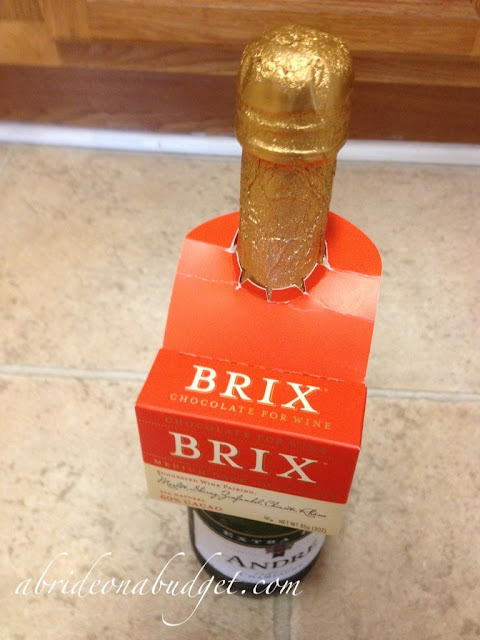 Brix comes in three very different package configurations. You can purchase 8oz. bars, individually wrapped bites, or the 3oz. bars with hang tags (for wine bottles). Or on champagne bottles ... because we happened to have a bottle of champagne (and I wanted to see if it would fit). It's a little snugger than it would be on the neck of a wine bottle, but it did still fit. That's actually a great gift idea for anyone who recently got engaged. Our friends gave us a bottle of wine when we got engaged, and I would have loved if there was a small brick of chocolate hanging from the neck. The bars come in a solid rectangle, which you are encouraged to break into bite-sized pieces to enjoy with your wine. You can actually purchase gift sets that come with two bricks of Brix chocolate, plus a wooden cutting board and knife. 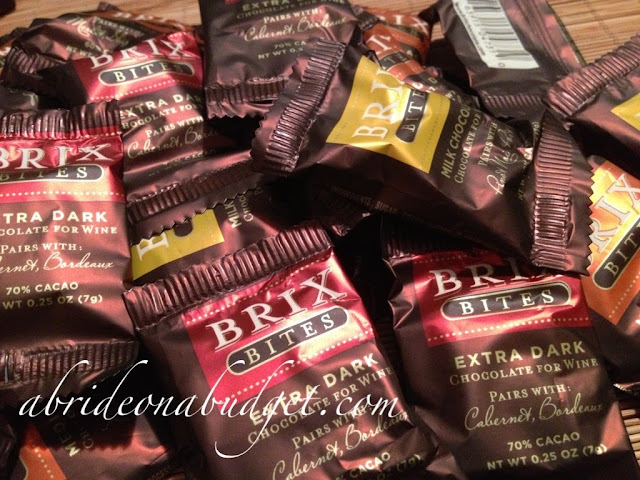 Personally, though, I'm a bigger fan of the Brix Bites, especially for wedding functions. These quarter-ounce bars can be purchased in a box and are individually wrapped. What's great is that each wrapper gives you a suggested wine pairing, so when you select one, you can know exactly what wine to enjoy it with. The chocolate comes in four variants: milk (46% cacao), smooth dark (54%), medium dark (60%), and extra dark (70%). The sweeter the wine, the sweeter the chocolate it pairs with. A rose or dessert wine pairs best with the milk chocolate while a dry wine, like a Chianti or Malbec, would pair with the extra dark. Pete enjoyed the extra dark most, which makes sense because he is drawn more to Chiantis when we go to dinner. He said the chocolate "wasn't overly dry or bitter." He's right. Don't be deterred from the dark chocolate, just based on the percentages. High-percentages of cacao generally don't lend much sweetness to chocolate. I tend to stay away from high-percentage darks because of the bitter taste. With this, you wouldn't know. A milk chocolate die hard could be converted. My mom and I favored the smooth dark, which pairs best with a Riesling. I asked my mom what she thought and she said, "The smooth dark had a creaminess and sweetest that I like in my milk chocolate but a little bit of the bitterness that I enjoy in my dark chocolate, which is like the perfect bitterness for me because I don't like when it's too bitter because then it starts to taste not sweet to me" (insert a breath here) "I never tasted anything like that. It's just really smooth. It's the perfect name for it. It just seemed like a smooth dark. I liked it. Did you like that smooth chocolate?" After transcribing her quote word for word, I said, "Yup. That one was my favorite." "It was good, right?" she said, before later adding, "I would pair that with anything." Which makes it great, even for the non-wine drinkers in your life. The bites are a perfect size too, with an indentation to snap the bite in half if you choose. They come with 24 assorted pieces per box (unless you purchase a display box, which has 64 pieces). I broke each piece in half and was actually satisfied with just one of the two halves (Okay, full disclosure: I actually did snap them in half ... and then ate one half from each variant, so I did have two full pieces total in one sitting. But I needed to try them all to compare). These are packaged absolutely perfectly for a wedding candy buffet or if you set up a wine bar instead of a lounge. 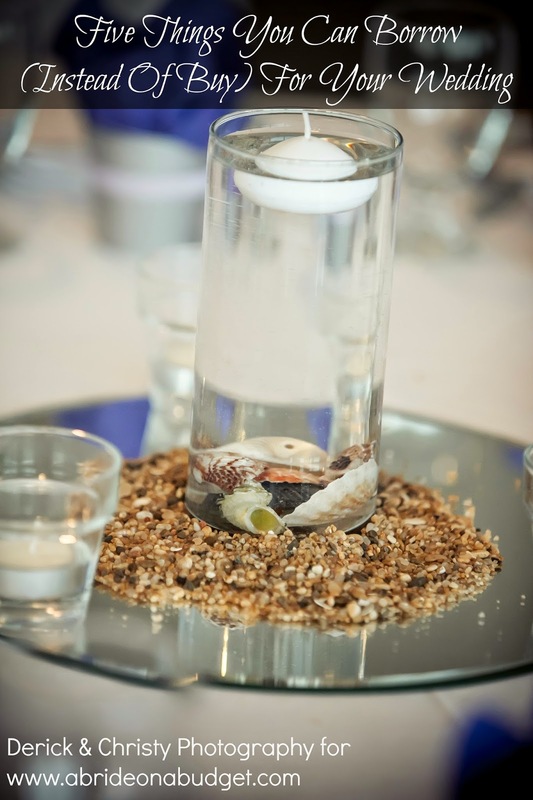 Set up high-tops where your guests can come and enjoy wine and set up glass bowls of the Brix Bites in the table's center. Or have bowls on the bar where they can grab a piece when they get their wine (personally, I like the table idea better because you don't want to clutter the bar, but it's really up to you). A lounge is definitely more of a Southern wedding thing (I've been to countless weddings in New York and never saw a lounge before; at almost every venue we saw in North Carolina, we were shown where we could set up a lounge). So, if you're not having a lounge, you can definitely bring these out right before the cake (or after, depending on what your think your guests would prefer). 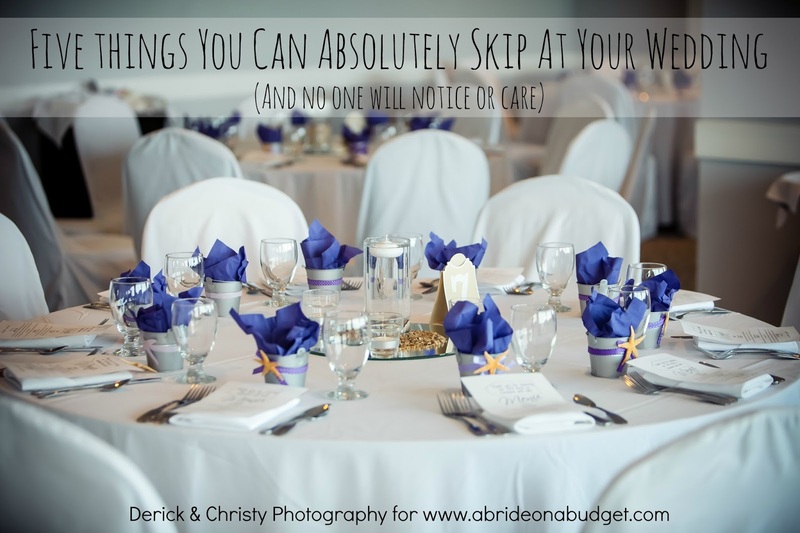 Just allot an assorted bowl per table and ask the wait staff to bring them out with fresh wine glasses. If you're like me, you can put these out at your rehearsal dinner. That's what is going to work best for us. Ideally, I'm going to create a mini candy bar with some local cakes and have Brix chocolates in front of the wine bottles. At least, that's the idea I'm kicking around right now. We actually have about 10 months until the rehearsal dinner, so I might reorganize the dessert table in my mind before then. We really loved the solid brick, but for a wedding, that wouldn't be the most sensible. You would need to leave out a cutting board and knife, and it just seems like a bit of hassle. I guess you could have someone from the venue's waitstaff do that, or even ask the bartender, but it just wouldn't be as practical as the individually wrapped chocolates. For home, it's great, but for a wedding, your better bet is the bites. BRIDAL BABBLE: What's a better pairing: wine and cheese or wine and chocolate? Oh man that chocolate sounds sooooo good!!! Forget pairing it with anything! I have never been a wine drinker but I will take chocolate any day. I have actually never heard of this brand before .Thanks so much for sharing. I love chocolate and those look amazing. I think chocolate goes with just about anything. :-) And I love how classy these look. Perfect for a wedding or special event! I've never understood the whole wine and cheese thing either lol i would love to try this with some new wine that i have coming to try! I found Brix while randomly spelunking through the amazing things in Cost Plus World Market. It was a fantastic find and I loved having it with red wine and my then-boyfriend, now-fiancé! Smooth dark chocolate sounds delicious. Every wedding (that I go to) should have lots of chocolate available for their guests! I agree individually wrapped is best for a wedding. Red wine and chocolate is to die for. Chocolate is my best friend! Thanks for the giveaway! Sounds great! I love the idea of a wine bar, too! I'd have to say I prefer wine and cheese but will have to try wine and chocolate. Maybe I'll change my mind! I prefer chocolate and cheese but will have to try chocolate and wine. I may change my mind! That sounds really yummy, i will try!!! Sounds delicious! I would love to win this, I love that their chocolates are gluten free! ummm wine and chocolates....I can't think of a better way to end my day! Wow those look very stunning and gluten free!!! I hate how so many wedding things have become cheesy looking these look very classy! Brix sounds like excellent chocolate. They are truly a perfect pair,wish i had some now.